When you hire Molly Maid, you’re hiring a professional. 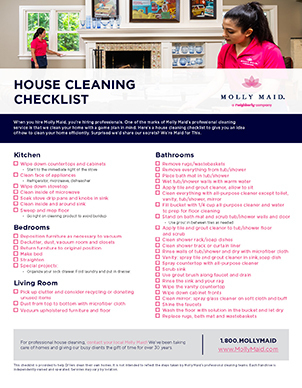 One of the marks of Molly Maid's professional cleaning service is that we clean your home with a game plan in mind. A strategy that takes on cleaning in a systematic, organized way (while having the flexibility to incorporate your custom wishes).